What Is Tea Drunkenness and What Does It Feel Like? What Does Tea Drunk or Euphoria Mean? Tea drunk is a somewhat controversial and confusing expression since regular tea does not contain alcohol and does not cause drunkenness. While tea can be used in alcoholic drinks like tea cocktails or tea-infused spirits, the term tea drunk is not referring to the effects of those beverages. Some people compare feeling tea drunk to a strong caffeine buzz. This can include positive and euphoric feelings or negative side effects like shakiness, nausea, strong dizziness, and other unpleasant sensations commonly associated with consuming excess caffeine. With the feelings of euphoria, there can be a strong sense of focus and calm. Tea drinkers may experience acceptance of the world, a feeling of contentment, and pleasing lightheadedness or sense of floating. Others list symptoms such as a giggling, a bouncy feeling, a feeling of emotional bliss, a contemplative or philosophical mindset, or an introspective, sensitive mood. The overall effect is often described as a very Zen feeling. As with most experiences, these side effects will vary by the individual, are hard to predict, and are impacted by a number of different factors. It is thought that tea drunkenness is a result of the combination of caffeine and other molecules in tea, particularly L-theanine. Consumed without caffeine, L-theanine induces a very calm (and often very sleepy) state. In fact, L-theanine has been studied as a clinical anxiety-reducing medical treatment. However, when combined with caffeine, L-theanine is thought to increase the production of alpha waves in the brain, inducing a meditative state without making you tired. The first step of starting your tea tasting and appreciation experience is to get in a mindset of focused observation of the physical, mental, and emotional effects of the tea. To attempt to attain a state of tea drunkenness, start by eating some light food to cushion your stomach to the tea's caffeine and slow the absorption of tea's natural chemical compounds. Crackers, fruit, or a simple snack are perfect. Avoid a heavy meal. When deciding what tea to use, it's preferable to select high-quality tea. 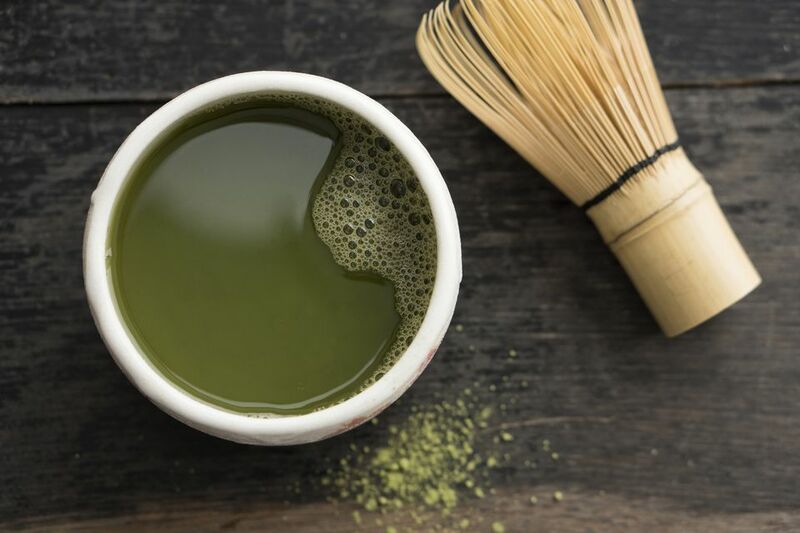 Some varieties of teas that may result in tea drunkenness are oolong (especially Tieguanyin oolong), shade-grown Japanese green tea (like matcha green tea and Gyokuro green tea), or aged pu-erh tea. Pu-erh tea is a variety of tea made from fermented and oxidized tea leaves. The fermented leaves are then dried and compressed into a cake or brick-like shape. To drink this tea, a small piece of the brick is broken off and placed in a mug. Boiling water is poured onto the piece of fermented leaves, resulting in the tea. Local tea shops or online purveyors are the best places to purchase high-quality teas. To attempt tea drunkenness, try what tea you have available and continue to experiment with a wide variety of teas. Savor the tea and note how you feel. Focus on the taste, smell, and even the feel of the warm cup in your hand. By using this time as a contemplative moment, you will be more likely to feel the effects of the tea. If you are drinking the tea in a social setting, it can be hard to distinguish any tea drunkenness feelings, as you may be distracted by the social scene. If you plan to try many teas in an attempt to feel tea drunkenness, it may be helpful to keep notes on the tea you sampled and how you felt. Keep a record of the time of day, tea variety, any preparation notes, and the experience. This will allow you to compare the teas you sampled and have a recording of your experiences and preferences. If you do feel tea drunkenness, know that both the positive or negative side effects will wear off with time. Flushing the body with water or food will quicken that pace. There is no harm in tea drinking, so even if you don't experience tea drunkenness, you will hopefully still enjoy a hot cup of tea.